Of course these are just the basics - if you plan on doing any outdoorsy things or are going somewhere especially hot or cold, you'll want to pack accordingly! Or if you're one of those people who hit the gym every morning on vacation, you can add work out gear to your list. (I'll applaud you from afar, ya psychos.) And don't forget something to store your dirty clothes in - I always bring an empty pillow case with a dryer sheet inside! 1. When I fly, I always carry a cashmere scarf as a make-shift blanket. Airplanes are notoriously chilly, but the blankets provided by the airlines can really trouble my inner-germaphobe. Plus, if you're packing for autumn or winter, you can never bring too many scarves! 2. A cozy sweater for layering is a must. Despite the fact that I'm generally cold on airplanes, those few experiences where I've felt as if I were melting have taught me that layering is the only solution to varying airplane temperatures. Casual tee + loose fitting sweater = problem solved. This also applies to cheap hostels with unpredictable heating and cooling systems. 3. Tokyo Milk Gin & Rosewater Shea Butter Lotion is the most delicious smelling hand lotion I've ever owned. Not only does it smell heavenly, but it also does a pretty good job of keeping my hands moisturized during long flights and cold weather. 4. Thank you, Parisian purse gods. My Longchamp Le Pliage Tote has been my trusty sidekick for over three years now, and it is my absolute saving grace. It can fit just about anything inside - and after all of our adventures, it's still in decent condition. This bag is a must for when you need to stuff as much as possible into one carry-on, or when you need a make-shift camera bag while sightseeing. 6. I will never, ever understand the people who wear heels when they travel. For me, comfort > style every time. (... which is why I'm not a fashion blogger.) On long flights, you can find me wearing my moccasins... that is, my moccasins that bear an uncanny resemblance to slippers. Some might even go as far to say that they actually are slippers. Your call. 7. Packing Rule #1: always bring extra socks! Since my feet are always cold on planes (and in general), I always carry a spare pair of socks in my purse to whip out once I buckle my seatbelt. No shame. 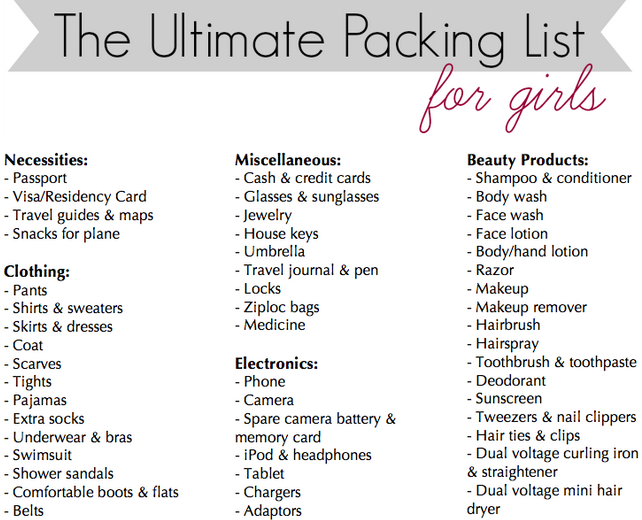 Would you add anything to this packing list? 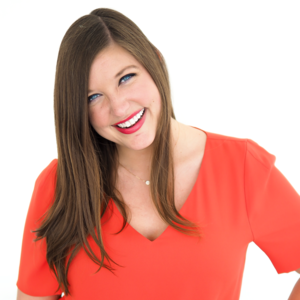 50 comments on "Packing Essentials for the Savvy Female Traveler"
Good list -- I hate packing so sometimes it's nice to have something to refer to. The only thing I would add to your list would be an empty water bottle to fill up on the other side of security! It's nice for the plane but also while out and about travelling. I always try to bring some grapeseed oil with me on the plane for when my skin gets dry. And I usually try to streamline my bath & body stuff by bringing multi-tasking, solid stuff. I always go with comfort first! Always! That's a good rule to live by when it comes to fashion. I'm definitely saving this post for my next traveling adventures. Thank you, Courtney! Thanks Gina! I'm glad you found it relevant! Oh my god - I can't believe you almost forgot your passport!!! That would have been a disaster! I tend to forget things like toothpaste or deodorant, which granted aren't as important as a passport persay, but still pretty necessary. I have a hand-written version of the packing list graphic above that I've been using all year to remember what to pack! I wouldn't be able to survive without it! Ooh, that's a great idea! I always forget to bring a water bottle, because generally speaking I'm pretty horrible at remembering to hydrate. Then when I'm eventually dying of thirst, I end up paying 2 euros for a bottle of water at the most inconveniently touristy and overpriced places! I should really just save myself the trouble and bring my own, haha. Thanks Cynthia! I have to mentally prepare myself for this 11 hour flight/20 day trip back home. Although the good news is that if I forget anything, I can just pop by TARGET!!! I totally agree with you about the second outfit in the carry-on idea. I only do this about 50% of the time though, because usually I'm more concerned with, "how many snacks from Whole Foods can I hoard in this bag?" The struggle is real. Excellent list - I usually bring ear plugs (headphones make my ears hurt after a couple of hours) and hydrating facial wipes. The wipes are a great way to hydrate and cleanse without having to use teh tap water from the airplane (which is supposedly really gross). Honestly, most of the time I don't do it either... I just really want to do it :) You know, good intentions.... they gotta count for something, hah. I wish you a great flight back to Sea-town! Good list! I wouldn't add anything, but I would say that if space or weight is an issue, leave the soap/shampoo/conditioner/sunscreen stuff behind -- you can buy that stuff in any country, usually for pretty cheap, as long as you're not particular about certain brands. Scarf that doubles as a blanket is brilliant - you can also bunch it up for neck support if you have a window seat! Man, I remember lusting over the Longchamp bags because they were the rage in France when I was there! Love the packing list. That's exactly how I categorize all my necessities! Thanks so much for featuring me this week. Such a wonderful surprise when I got to the end of your post just now and saw my name. I LOVE the Fresh Sugar Lip Balms too! My mistake is only buying one for my 6+ months trip, so I think I need to find a Sephora somewhere to stock up on more :D. For carry-on essentials, my boyfriend swears by noise-cancelling earphones, nose spray, and jet-lag pills (though I don't see how they really help with eliminating jetlag). Great tips! For flights I'd add some type of anti-bacterial throat lozenges - I feel like they help cut down on all the germs that are floating round! And a sleeping mask can be a life-saver on planes or in too-bright hostel rooms. It's like we travel together! Flying almost anywhere from Australia can be taxing on your system, having a few comforts is essential. The only things I would add are mentos (chewing them during take-off and landing help with ear pressure), my own headphones (the free ones can hurt your ears a bit after a few hours) and wipes (for when you feel really gross). That's a great idea! My face always feels so gross after long plane rides. I'll have to search for some good facial wipes! Nice! I've never flown with Emirates before, but their advertising makes it looks so fancy. How is it in reality? I feel ya! Sometimes practice doesn't make perfect... which is why lists are so handy! Definitely! I always carry a mini-pharmacy with me in my purse. But I'm no good at remembering to drink Emergen-C before I fly! I should probably go do that like, right meow. Indeed, one Sugar lip balm is not enough!! Also, what are these jet lag pills you speak of?! I usually take Melatonin, but they really don't help me thaaaat much. Oh yeah, good call! I ALWAYS get sick after long airplane rides. Something to look forward to this Christmas... hah. And you are so right about the sleeping mask! I can't survive long flights (or hostels) without one. I should have added that to the list! Definitely - your own headphones are a must! Except mine like to break at the worst possible times, so I try to travel with a spare pair just in case! Exactly! I like to bring a travel pillow for long flights, and sometimes I use my scarf/blanket as an extra armrest cushion too. Exaaactly. And thank you! I hope you have a wonderful holiday break! Good point. They are also useful if you do audio guides at tourist spots. It's this homeopathic pill. It's called the Lewis N. Clark No-Jet-Lag Homeopathic Flight Fatigue Remedy (super wordy! lol). I can't give you my word that they work though! My bf seems to think so, but I think that could just be a placebo effect?? I agree! They're so classic and cute :) And why not get a long-term use out of a bag like that?! Whitening lotion?!? Wow! If that's pretty popular, I bet you would have an impossible time finding bronzer there, huh? I think it's really interesting to see how culture affects what sort of beauty products are sold! Definitely! Using the communal headphones for audio guides seriously grosses me out! I highly doubt they ever disinfect them!! Interesting!! I want to give it a try, even if it's just for a placebo effect. Jet leg always affects so intensely... at this point, I'd try anything to make it go away faster! I love this! I have to agree with your essential fly list - hand cream (and sometimes a face cream or mist) is absolutely essential, layers, a nice scarf to wrap up, the largest handbag ever to fit as many carry ons haha! Always have some extra socks on me too! Especially when I travel during summer time - because if I'm in sandals or flats, then I really want to warm up on the plane! And I completely agree - I have no idea how people travel in high heels, uncomfortable stuff! Yup, being pale is popular all over Asia--when I ran out of the bronzer I brought from home I had to have my sister get me a new one from the states! And everyone thought I was crazy when I came back to Korea after being in Thailand and had a tan. They couldn't believe I would purposefully darken my skin.